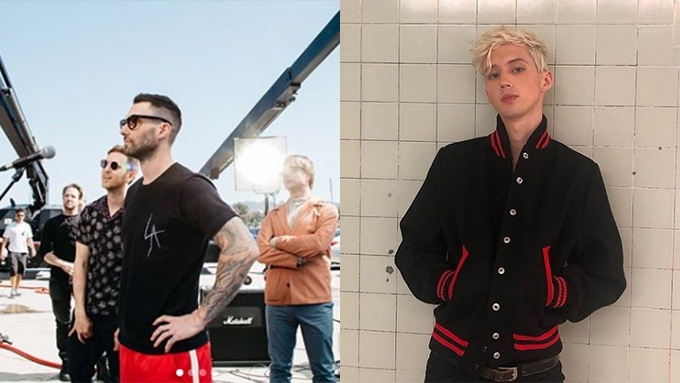 Bands such as Maroon 5 (left) and artists such as Troye Sivan (right) are some of the international acts who will perform in the Philippines this 2019. It's a week into the new year and more than 10 international acts have already confirmed that they will be performing in the Philippines for a concert. Details: American singer-songwriter Josh Groban will be returning to Manila after 12 years! On February 22, the 37-year-old Grammy nominee will be staging a post-Valentine concert for his Bridges Tour at the SM Mall of Asia Arena. Josh's last visit to the Philippines was back in 2007 for his Awake tour in Manila. Josh is currently promoting his latest album Bridges, which contains the single "River" that was released last September 18. He is known for the songs "You Raise Me Up," "To Where You Are," and "The Prayer" with Celine Dion. Ticket prices: PHP21650 (SVIP), PHP19540 (VIP), P16370 (Patron), PHP11090 (Lower Box A), PHP8980 (Lower Box B), PHP5810 (Upper Box), PHP2640 (General Admission). The synth-pop trio composed of Olly Alexander, Mikey Goldsworthy, and Emre Türkmen will rock the Manila concert scene with their The Palo Santo Tour produced by MMI Live. This will be the band's first visit in Manila since their formation in 2010. The band is expected to perform their hits including "If You’re Over Me," "King," "Shine," and "Eyes Shut." The band—composed of Steve Garrigan, Mark Prendergast, Vincent May, and Jason Boland—will be bringing their Politics of Living Tour 2019 in the country and will perform their best known songs such as "All I Want," "High Hopes," "Head Held High," and "The One." The band—composed of Adam Levine, Jesse Carmichael, James Valentine, PJ Morton, Matt Flynn, Sam Farrar, Mickey Madden, Ryan Dusick—is set to rock the stage with their latest hits titled "Don’t Wanna Know," "What Lovers Do, and "Girls Like You." Maroon 5 is set to start the Asian of their tour starting this February. Aside from the Philippines, the American band also has stops in South Korea, Taiwan, Singapore and Thailand. The band last performed in the country in September 2015, for their V Tour. The organizers have added an extra section for Maroon 5's Red Pill Blues Tour at the Mall of Asia Arena. Patron seated (PHP 20,850) will be available on February 12, 2019 10:00 am. Details: Bianca Del Rio of RuPaul’s Drag Race fame will be coming to the Philippines this 2019! Dubbed as the Joan Rivers Of The Drag World, Bianca Del Rio will be making her debut in Manila via her show titled It’s Jester Joke. Filipinos will get to see her on March 12 & 13, 2019, at the Samsung Hall in SM Aura. The self-proclaimed “clown in a gown” tells tales of her world travels and the outrageous circus that is her life. The comedy show presented by LA Comedy Live & Official Residence Fairmont Makati will tackle a wide variety of topics ranging from politics to travel to family and social media. Bianca Del Rio, the alter ego of seasoned comic Roy Haylock, became a front-runner in the 6th season of RuPaul’s Drag Race. She was crowned the winner in May 2014. Bianca is the first Hispanic winner of RuPaul’s Drag Race, with the second being her successor, Violet Chachki. Her shows The Rolodex of Hate, Not Today Satan, and Blame It On Bianca Del Rio sold out to audiences all over the world. In 2013, she starred in the film Hurricane Bianca. A sequel, Hurricane Bianca: From Russia With Hate, was released in 2018. Bianca’s last tour, Blame it on Bianca, was a massive hit with sold-out shows across the world. Tickets are ON SALE NOW via the official ticketing agent SM Tickets, at https://smtickets.com, SM Tickets hotline (Tel. No. 470-2222) and all SM Tickets outlets. Details: Wanderland is back for its 7th edition and this time, Globe and Karpos Multimedia made the festival bigger. Over 20 acts will be performing at Wanderland's magic-themed two-day event happening on March 9 and 10 at the Filinvest City Event Grounds, Muntinlupa City. American acts Masego, JMSN, Alina Baraz, Clairo, and Mac Ayres are also included in the lineup. OPM music is represented by Sandwich, UNIQUE, Clara Benin, Reese Lansangan, Dayaw, and Autotelic. Singapore's Charlie Lim and South Korea's Adoy will also be rocking the stage with their hits. No need to wait for “Next Year” as Irish indie rock band Two Door Cinema Club is headlining this year’s Wanderland! With genres ranging from indie rock and pop to dance punk and post-punk revival, TDCC hit the charts with their songs “Undercover Martyn” and “Are We Ready.” Their tracks “What You Know” and “You’re Not Stubborn” were featured in hit series Vampire Diaries and Grey’s Anatomy, respectively. English electronic music duo Honne will also join in on the Wanderland magic. Consisting of James Hatcher and Andy Clutterbuck, the duo writes, records, and produces their own music and released their first two EPs in 2014 titled Warm on a Cold Night and All in the Value. To give the audience a taste of jazz, house, contemporary R&B and funk fusion, Wanderland is bringing Masego to serenade the crowd with his hits “Navajo” and “Tadow.” The African-American musician who was born in Jamaica calls his music style as “TrapHouseJazz” or Emotion. Rising indie pop duo from Arkansas, joan is set to create a name for themselves in the pop scene with their songs, "Take Me On" and "Love Somebody Like You." Meanwhile, UK R&B quartet PREP will be performing songs from their latest EP Cold Fire, such as "Don't Bring Me Down" and "Rachel." Asian artists Charlie Lim and Adoy will also rock Wanderland with their unique music style. Singaporean singer-songwriter Charlie Lim shot to fame with his songs “Light Breaks In” and “Blah Blah Blues” while Korean indie band Adoy will play its hits from their albums Catnip and Love. 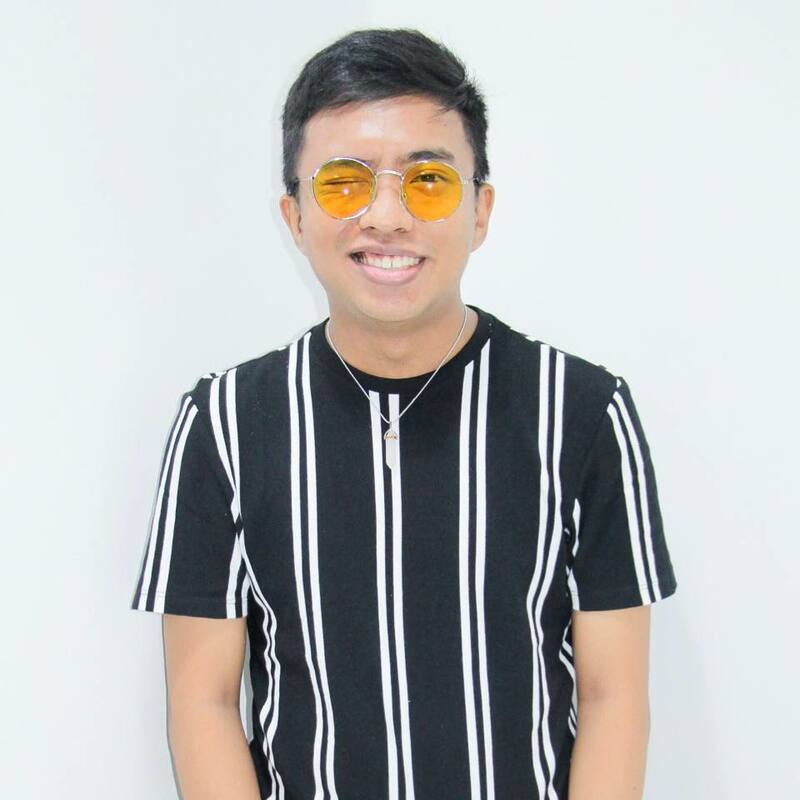 Unique Salonga, former lead singer of IV of Spades, will also join in the fun as he performs his debut single, “Midnight Sky” and songs from his first solo studio album, Grandma. His music can be described as ballads influenced by progressive psychedelic rock. Known for her cute and quirky music and unique tone, the multi-talented Reese Lansangan will serenade Wanderers with her songs “Home” and “For the Fickle.” The singer, songwriter, graphic designer, visual artist and published author honed her talents under the tutelage of National Artist Maestro Ryan Cayabyab, Joel Ayala and Noel Cabangon during her time at the Elements National Music Camp, now also under Globe. Clara Benin, the daughter of former Side A bassist Joey Benin, will bring indie pop, folk and acoustic music to the Wanderland crowd. She will beperforming her hits from her solely produced and written EP such as “Riverchild” and from her independently released album Human Eyes. Playing a fusion of worldbeat, jazz and rock music, Dayaw is made up of 11 members who came from different music groups around the world. Sensi Oñate is on vocals while Luis Aganinta and Aying Sayson are on guitars. Royce Barona, Kaloy Aganinta, Ryan Barros and Al Raja Oñate all play percussion. Dale Adeva is on the synthesizers, Iwag Maninantan is on the flute, BJ Malibunas flicks the bass and Gav Sabalburo pounds the drums. Details: British singer-songwriter Rita Ora will be staging her first ever concert in the country this March 10 at the New Frontier Theater in Quezon City. The 28-year-old former America's Next Top Model host will be performing her hits including "I Will Never Let You Down," "Girls," and "Let You Love Me," among many others at her Phoenix tour. Presented by Wilbros Live, her Manila concert is also the first show for the Asian leg of her concert. Aside from the Philippines, Rita also has stops in Japan, Thailand, and Taiwan. Details: Love In The Moonlight actor Park Bo Gum will hold his first ever fan meeting on April 27, 2019 at the Mall of Asia Arena. The Philippines is the most recent addition to Park Bo Gum’s 2019 Asia Tour: May Your Every Day Be A Good Day. The South Korean actor will give Hi-Touch royalty and Good Day Manila official posters to all on-site attendees. In addition, 50 lucky fan meet ticket holders will be randomly selected to be part of his press conference prior to the Manila show, and 40 other ticket holders will each receive an autographed official poster. Park Bo Gum jumpstarted his career by debuting as a supporting actor in the thriller film Blind (2011). He earned his first major role in the weekend series Wonderful Mama (2013). His next feature, The Admiral: Roaring Currents (2014), is considered as one of the highest grossing Korean films of all time. In 2016, he was cast in his most popular role to date, the Joseon crown prince in the historical drama Love In The Moonlight. Park Bo Gum’s 2019 Asia Tour: May Your Every Day Be A Good Day Live in Manila is produced by ABS-CBN Events and Ovation Productions. Tickets are available via www.smtickets.com and all SM Tickets outlets. Details: Irish boy band Westlife will be returning to the Philippines for its 20th anniversary concert. Dubbed as The Twenty Tour, the Manila concert will take place at the Smart Araneta Coliseum on July 30, 2019. Westlife, composed of members Nicky Byrne, Kian Egan, Mark Feehily, and Shane Filan, previously performed in Manila in 2011 for their The Gravity Tour. Formed in 1998, the pop boy band was disbanded in 2012. In October 2018, the members announced they were reuniting. This iconic '90s group has had an incredible 14 No. 1 singles, behind only Elvis Presley and The Beatles. Presented by Wilbros Live, tickets to WESTLIFE The Twenty Tour in MANILA will be on sale starting March 30 via TicketNet.com.ph and at all TicketNet outlets nationwide. The Philippine concert of Westlife will have a second date after tickets for their July 30 event were sold out. The second date of the Westlife Manila concert will be on July 29. Tickets for the July 29 concert at the Smart Araneta Coliseum will go on sale starting April 13 via Ticketnet. The Irish boy band is composed of Nicky Byrne, Kian Egan, Mark Feehily, and Shane Filan. They became known for their songs “Swear It Again,” "If I Let You Go,” and “Flying Without Wings,” among others. The members of the '90s boyband Westlife disbanded in 2012 but reunited in 2018. Details: Andy Brown, former front man of British boy band Lawson, will be staging his first solo show on March 30 at the SM Skydome, SM City North Edsa, Quezon City. This will be Andy's third time to visit the country as he previously performed for his Filipino fans in 2013 and 2015. Some of the songs he and his former band mates made popular include "When She Was Mine," "Taking Over Me," and "Juliet." Details: Danish pop artist MØ will be coming to Manila for the first time on April 15, 2019 at the New Frontier Theater in Cubao. The Philippine leg of her upcoming Forever Neverland World Tour will include stops in Asia and Australia. Presented by Insignia Presents, this concert follows the release of her latest studio album, Forever Neverland. MØ collaborated with Australian rapper Iggy Azalea on the 2014 single "Beg for It," which peaked at No. 27 on the U.S. Billboard Hot 100, earning MØ her first entry on the chart. The following year, MØ was featured on Major Lazer and DJ Snake's single "Lean On," which peaked highly on international charts, including No. 1 in Australia, No. 2 in the United Kingdom and No. 4 in the United States. The music video also gained more than 2.5 billion views on YouTube, making it the 15th most viewed video on the site. MØ was featured on Snakehips single "Don't Leave” and Major Lazer's single "Cold Water" alongside Canadian singer Justin Bieber that debuted at No. 2 on the Billboard Hot 100. Her 2016 single "Final Song" reached the top 5 in Denmark, and the top 20 in Australia, Norway and the United Kingdom. MØ will be performing her chart-topping hits to her fans in the Philippines for the first time after embarking on a successful Europe and U.S. tour. Tickets to MØ Live In Manila are now on sale via TicketNet.com.ph or call Tel. No. 911-5555. The 23-year-old South-African born Australian singer first visited the country in June 27 for a campaign shoot with local clothing line SM Youth. Ticket prices: PHP8750, PHP8250, PHP7750, PHP7250, PHP6750, PHP6250, PHP3250, PHP2800, and PHP1800. Ticket prices: (For Araneta) PHP4760, PHP3700, PHP2640, and PHP2115; (For Cebu) PHP3700, PHP3170, PHP2640, PHP2115, PHP1590, and PHP795. Details: Momoland, the girl group behind the dance hit craze “Bboom Bboom” and "Baam" will be returning to Manila on January 25, 2019. The K-pop group will be joining their fans live for their first fanmeet to be held at the Smart Araneta Coliseum. The nine girls were recently honored as MNET Asia Music Award’sDiscovery of the Year and Asia Artist Awards' Best Icon - Music. Released in January 3, 2018, the addictive dance track earned its first music show award on MNET M!Countdown just eight days after its release. Fans and celebrities alike started doing covers of the dance moves, solidifying its status as one of 2018’s biggest dance crazes. Details: American indie pop band LANY is set to perform in the Philippines this 2019. Paul Jason Klein (lead vocals/keyboard), Jake Goss (drums) and Les Priest (backing vocals/guitar) will perform in Manila on July 24, 2019. Produced by Live Nation, Promoted by MMI Live and Karpos Multimedia, this concert of LANY will be held at the Mall of Asia Arena. LANY launched its global tour in support of its sophomore album titled Malibu Nights. Tickets for the Malibu Nights tour go on sale on February 21, 2019 (12:00 noon) at all SM Tickets outlets nationwide and through smtickets.com. The popular '90s boy band will be performing in Manila on October 28, 2019 for its DNA World Tour. Backstreet Boys members AJ McLean, Howie Dorough, Nick Carter, Kevin Richardson, and Brian Littrell greeted their Asian fans in a video uploaded on the group's Facebook page. The Asian leg will kick off in Tokyo, Japan on October 12 and end in Singapore on October 30. Fans can see the Backstreet Boys in Tokyo on October 12 and 13; in Osaka on October 16; in Macau on October 19; in Taipei on October 22; in Bangkok on October 24; in Jakarta on October 26; and in Singapore on October 30. '90s kids will get a throwback vibe when they hear their idols perform their hit songs "Quit Playing Games (With My Heart)," "I Want It That Way," "Shape of My Heart," "Everybody (Backstreet's Back)," among others. Details about the venue of the Philippine concert and ticket prices have yet to be announced.